The March 2nd season one premiere of Star Wars Rebels is rapidly approaching and there is much speculation about what might happen and who might appear. The team over at Yak Face spotted some very intriguing details about the finale in the next issue of Star Wars Insider Magazine. While this doesn't reveal too much about what will happen in the finale, it does reveal that certain characters are returning. So if you don't want to know anything about the Rebels Season One finale, stop reading now! This is you official SPOILER ALERT! No real surprises there. We've been assuming for a while that Fulcrum would be revealed in the finale. 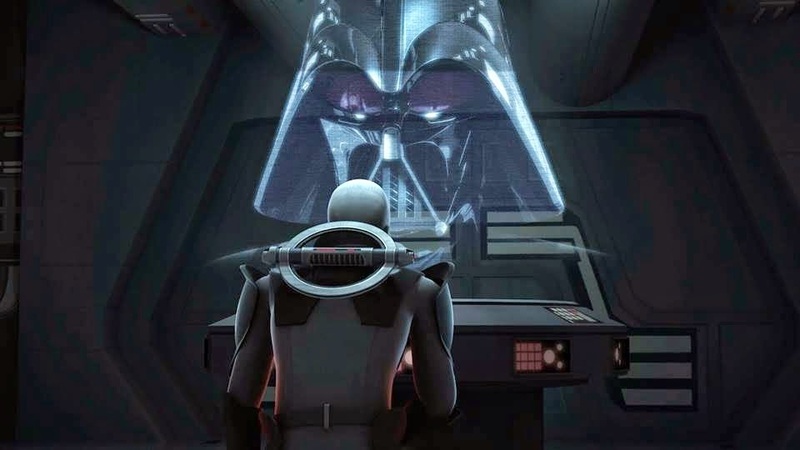 Also, we've seen so much build up over this season with the rise of our Rebels on Lothal, it makes a lot of sense that some of the major players from both sides (Bail and Fulcrum for the Rebels, Vader and Tarkin for the Empire) would need to get involved. All signs point to finale being a game changing affair. The Star Wars Rebels season one final "Fire Across the Galaxy" airs Monday March 2nd on Disney XD. I just hope if Ahsoka is introduced, she becomes a character for the remaining run of the show. So much work went into her development, literally going from being the second most-hated (after Stinky the Hutt) in the original film to the most beloved by the time she left the order in Season 5, that to either kill her off or just bring her in as a guest-star from time to time would be a major disservice. I really think Filoni gets that and will do right by her. I hope. I can understand why vader and Organa are returning becasue they are very importend for both sides. But what is that with Lando Calrissian? He will be even back in Season 2. He is not even a rebel yet. I think Fulcrum is Princess Leia. Just my thought. But it makes more sense than Ahsoka.